You have a current/paid CNW membership. 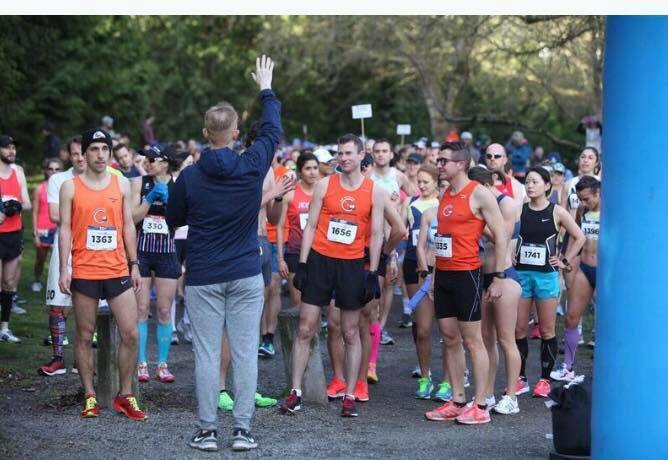 You agree to wear the CNW uniform (orange top and black shorts/bottoms) at all possible races (including those when an athlete doesn’t receive a comp entry) unless given an exception by the Team Manager. You send a race recap/results to results.cnw@gmail.com so the club can publish results of our competitive runners. Athletes requesting comps must also meet the following standard at the distance of your choice within the last two years. Anyone receiving a comp entry must complete at least one social media post within 72 hours of receiving the comp or within 24 hours of completing the race. Athletes that do not complete a post may be removed from the comp list. If you meet the above requirements, email the team manager, Deborah Fletcher, at dfletch1970@msn.com requesting to be included on the comp entry email list. When comps are available, emails are sent out to all athletes on the comp list with a deadline to express interest. Once the deadline is reached, the team manager will make the final selections for the comps. We will notify everyone of the outcome by email. Comp announcements are sent out as early as possible so that athletes can register for the race themselves if they do not get selected. The criteria for races varies depending on time standards from race directors. These standards will continue to be clearly communicated in the race announcement emails. The primary criteria for selecting comp entry recipients is one’s racing acumen. There is an age graded time adjustment for masters athletes when evaluating racing acumen. The secondary criteria is balancing the comp entry recipients between all eligible CNW members. An athlete must be racing (not jogging or running substantially slower than one is capable of) to receive a comp entry. If you become injured after receiving a comp entry, please contact cnwcomps@gmail.com so the we can offer the comp entry to someone else.